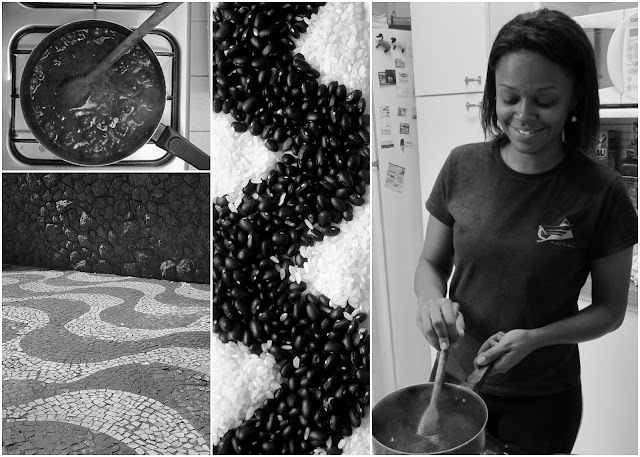 Margot is a longtime friend with a magic talent for creating good-looking and nutritious food. 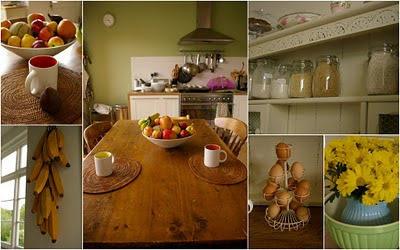 Her gorgeous kitchen — in a beautiful home in London — is, since last May, the stage for cooking classes. And, as I guess, long before that, a place for delighted friends and delicious food. Her approach to cooking is simple: Healthy food can go gourmet, preserving its soul. For our afternoon tea, Margot prepared a improvised menu for our impromptu visit. "I wanted a well-balanced meal, so that the kids would have everything they need," she said. In the meantime, the kids were having fun playing with her daughter. Each corner of her kitchen raised my curiosity. Well-designed shelves, ultra contemporary lines, and antique pieces are mixed together, creating a unique environment. When we met, about 18 years ago, we were both very distant from kitchens. And how fun it was to discover, after all those years, that we had both had developed a passion for cooking. Margot is a qualified nutritional therapist, able to design menus to make people healthier and reorganize their pantries, substituting healthier ingredients. After long conversation and good laugh, a collection of beautiful plates was ready in front of us: warm grilled eggplant and pomegranate salad, roasted chicken, fruit salad, green salad, and an unforgettable savory muffin — the recipe for the muffin is below. Enjoy! Adapted from Hugh Fearnley-Whittingstall’s recipe. Margot used what she had on hand, substituting some ingredients. She also prepares this delicious muffin with feta cheese and tomatoes. Preheat the oven to 400F and line a muffin pan with 12 paper muffin cups. In a large bowl, whisk together the flour, oats, baking powder, baking soda, salt, pepper, basil, and Parmesan. In a separate bowl, combine the eggs, yogurt, and oil. Pour the wet ingredients over the dry ingredients and stir with a spatula until roughly combined — don't over-mix. Add zucchini, pine nuts, and raisins and stir just until evenly distributed. Spoon or scoop the batter into the muffin cups and sprinkle the rest of the Parmesan over the tops. Bake for about 18 minutes, until a toothpick inserted into the middle of a muffin comes out clean. como vc adaptaria esta receita dos muffins para os ingredientes brasileiros? Eu queria fazer lá no IN HOUSE. Alex, let's work together to develop a Brazilian version of this awesome recipe. What about having a cooking "playdate" when we go to visit? I had the pleasure to join Anna in her visit to Margot, and was impressed by the easy with which she prepared the most delicious and good-looking meal. Taste and appearance were both great, and we all eat with great enthusiasm. The muffins were great, so different!